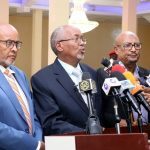 The official passport of the de facto Republic of Somaliland has officially attracted and gained the recognition of the United Kingdom’ Home office. 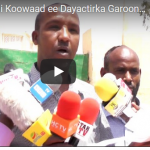 To ease difficulties reuniting families and students returning from overseas visits enocountered in the past, the UK Home Office came up with interim measures which sweep away travel hurdles from Somalilanders. To qualify for this courtesy a Somalilander must produce at the entry point a valid, UK-issued biometric residence permit/card and a Somaliland passport. 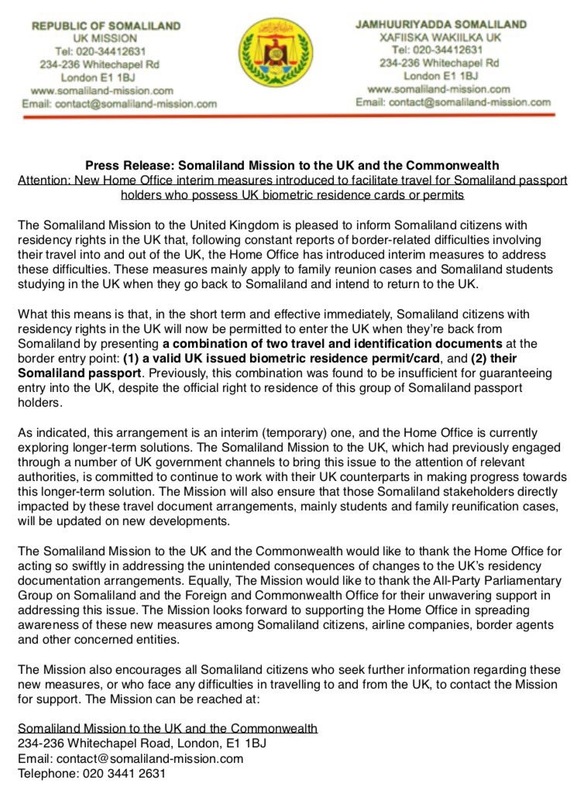 Below-copied is a press statement on the issue released by the Somaliland Mission in the United Kingdom.